In this article, I’m going to answer the question "what are Lightroom Presets". I'm also going to explain how you can create your own Lightroom Presets and benefit from using them. If you’re using Lightroom to enhance or edit your images, then you’ll probably be familiar with the Lightroom Develop module. 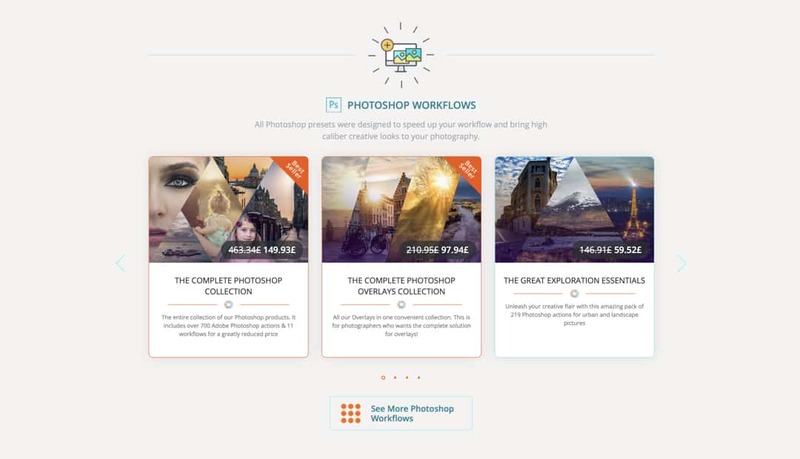 This is where you can make an almost infinite level of adjustment to your photo’s. You can apply changes to the exposure, contrast, colour as well as many other settings. Having applied your adjustment settings to an image you can save these settings to use again with other images. This is a Lightroom Preset. Once you've created a Preset, these adjustment settings are available to apply to other photos using the Lightroom Presets panel. You can see a screenshot of the Lightroom Develop module below. This shows the Presets panel on the left. So to answer the question, what are Lightroom Presets, they are nothing more than adjustment settings, saved in Lightroom. So why are Lightroom Presets so useful? They can save you a lot of time when editing. If you’ve shot a lot of images at one time, you may want to apply similar adjustments to them all. Once you’ve edited one image, you can create a Lightroom Preset that you apply to all the others. This is a common approach amongst wedding photographers as it saves a lot of time editing. You could create a signature style photo and then save these adjustments as a Lightroom Preset. You can then apply this all the photos that you want to use that style. Presets often create effects that you’re not expecting. If you’re not sure how to edit a photo, it can be helpful to browse through Lightroom Presets. Often you will be surprised at how good some of the Presets make your photos look. This is particularly true when using presets developed by specialist companies like Sleeklens. If you want to know more, I’ve produced a short tutorial on the benefits of using Presets. Lightroom Presets are very easy to use and Lightroom comes with some that Adobe has developed. You’ll find these in the Develop module on the left side of the interface. Which Presets you have installed will depend on which version of Lightroom you’re using and if you’ve installed third-party Presets. Select the photo you want to edit in the Lightroom Develop module. Move your mouse pointer over the list of Presets in the Presets panel. As you move over each Preset you will see the Navigator preview change. This reflects what the image will look like if you apply the Preset. Depending on which version of Lightroom you’re using, you might also see the main image change to show the effect of the Preset. When you find a Preset you like in the list, click it. This applies the Preset to your photo. Once you’ve applied a Lightroom Preset to an image, you will see the adjustment settings over on the right side of the interface change. This is how Presets work. They apply adjustments using the controls are available on the right side of the interface. If you apply a Preset by mistake, the best thing to do is click the “Reset” button on the bottom right of the Develop module. If you try to apply another Preset to replace the one you used, you might find it doesn’t change all the settings. Instead it might layer one set of adjustments over another, mixing up the two. If you weren’t expecting this behaviour the results can be very confusing. Despite the above warning, Layering Lightroom Presets can be a valuable technique. Once you have a little experience in using Presets with your images it’s worth experimenting. As mentioned already, Lightroom comes with a selection of Presets already installed. These tend to be organised into groups which you can collapse or expand to reveal the Presets. You’ll find lots of free as well as paid for presets on the Internet, which you can download and install. 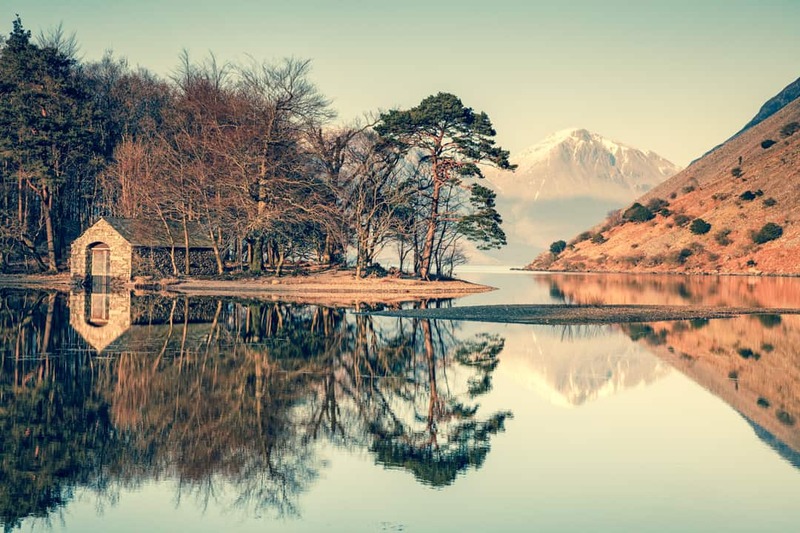 Here at Lenscraft, members will find a selection of free presets they can download and use. You will need to be a member to download these but membership’s free. You’ll also find premium Lightroom Presets which you can purchase in the Lenscraft store. Another provider of premium Lightroom Presets that’s worth investigating is Sleeklens. They have a wide collection of Presets to choose from as well as lots of helpful tutorials. It’s also well worth doing a search on Google for Free Lightroom Presets. There are a lot out there. Whilst a lot of websites selling Lightroom Presets will include instructions on how to install them, some don’t. In addition, a lot of the free Presets you might download won’t come with instructions. You’re going to need to know how to install them. Don’t worry, there are a couple of ways you can use to do this. Possibly the easiest way is to click on the ‘+’ icon at the top right of the Presets panel. This displays a small popup menu with the option to “Import Presets”. When you click this, it displays a dialog where you can navigate to the file containing your Preset and select it. There are other methods of adding Presets to Lightroom but you might experience problems. I’ve therefore created a tutorial to walk you through each of the steps. This is important if you're using version 7.3 of Lightroom or later. Select a photo to use as the basis for creating your adjustments, in the Develop module. Adjust the photo using the editing tools in the Develop module. Once you’re satisfied with the results, save the adjustments as a new Preset. You can do this by clicking the ‘+’ icon at the top of the Presets panel, to the right of the title. 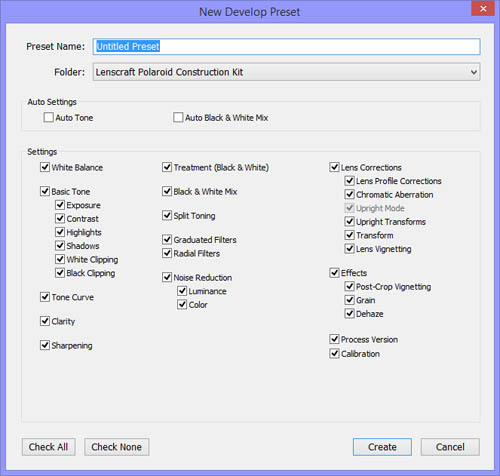 This will open the “New Develop Preset” dialog (shown below). Enter the name of your Preset and select the Folder where you want to save the Preset. The Folder dropdown has a list of all the folders that appear in the Presets panel that you can use. Beware though, you can’t save new presets to all the folders. 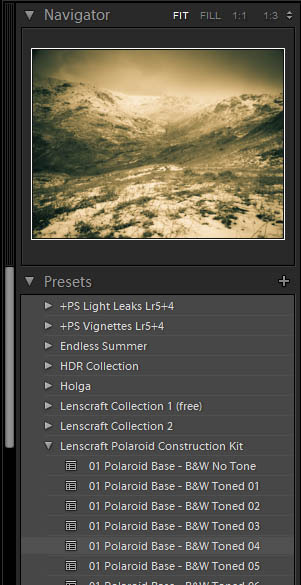 You can read my article on Lenscraft to learn more about managing and organising Presets. Click the Create button to create your new Preset. If it’s the first time you’ve seen it, you might have been confused by the “New Develop Preset” dialog. There’s a lot going on in this dialog. It’s filled with tick boxes and wording, but don’t worry, it’s a lot easier than it appears. Each of these tick boxes represents a set of adjustments in the Lightroom Develop module. For example, if you look at the “Basic Tone” group in the dialog, this relates to the Basic panel in Lightroom. You may even recognise some of the controls mentioned like Exposure and Contrast. What these ticks indicate is that the Preset will save that setting. If you don’t want to save a setting or group of settings, click on the tick to remove it. If you’re just starting to experiment with Presets and not sure what to do, use the “Check All” button to save all the settings. Saving all the settings to a Preset is usually the safest option. Later you can experiment by saving only some of the settings which allow you to layer Preset effects. If you started reading this tutorial because you were wondering “What are Lightroom Presets” I hope you now have the answer. I’m also hoping that you also understand a lot more about Lightroom Presets than you did before. You should know how to install them, apply them, and importantly how to create them. I’ve also mentioned a few other tutorials as we’ve progressed and it’s well worth reading these for a more complete understanding. 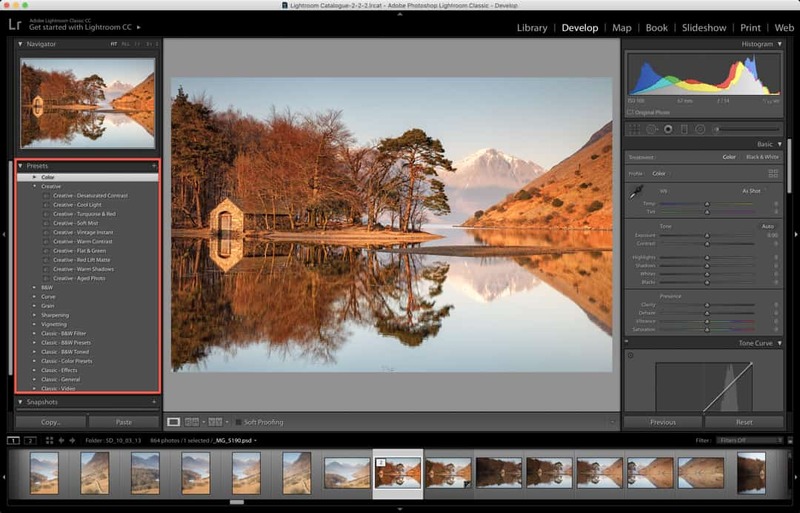 The only thing you need to do now is master the adjustments in the Lightroom Develop module.